What do these four options mean? Here you'll find the design canvas. If you're looking for a quick set up choose from our list of templates. The canvas is set up like most text editors, you'll find all editing tools here. For a more in depth look into the canvas click here. New Visitor: this will show the overlay on the first page for a visitor who has never engaged with the application yet. 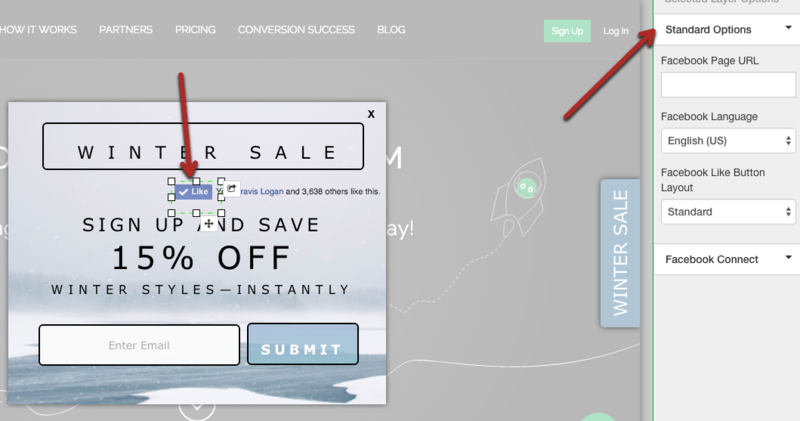 On specific URL: Want to show the overlay on a specific page of your site? This is your answer! For paid users: you have access to exit offer and advanced rules, depending on your plan. If you are a free user this is where your set up ends! Hit publish and you are good to go! Paid accounts continue on to step 3: App integration. Find your email marketing application and enter in your companies information to ensure that the emails you collect will be linked directly to your account. Then you can market further to potential customers!